Water colour sketches for a contemporary loft conversion in Essex. The existing property shares as similar roof construction as its neighbour. 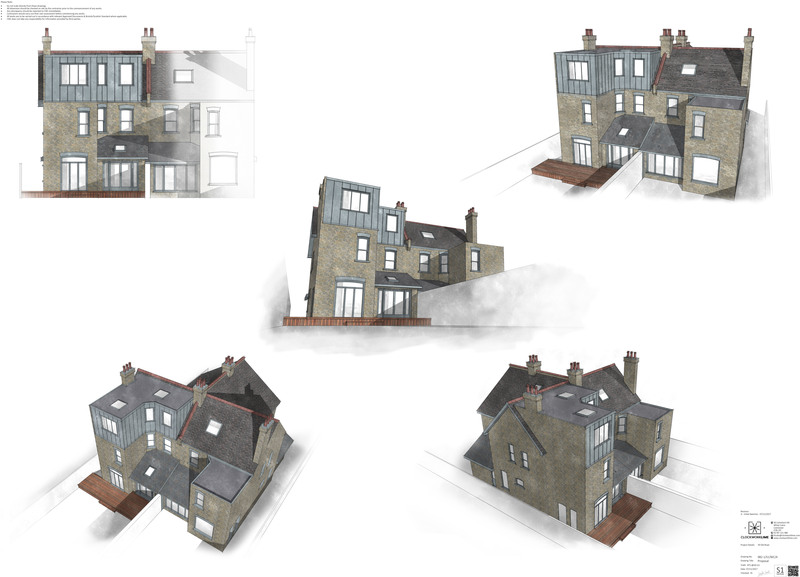 Here we are proposing a timber framed, zinc clad flat GRP roofed loft conversion, incorporating matching brickwork to the side elevation. Additional light and roof access is provided via two sky lights over the extensions new roof and one in the existing roof directly over the existing/extended stairwell. This proposal provides an additional 20SQM+ of living space to an already spacious property.